The Trojan Noise Nuisance Product Training is a 1-Day workshop for Local Authorities, Housing Associations and Tenant Management Organisations who are using, or looking to use, the Cirrus Trojan Noise Nuisance Recorder and NoiseTools software to manage noise nuisance complaints. The workshop will cover the user of the Trojan Noise Nuisance Recorder and the NoiseTools software, allowing delegates to get the maximum benefit from their equipment. 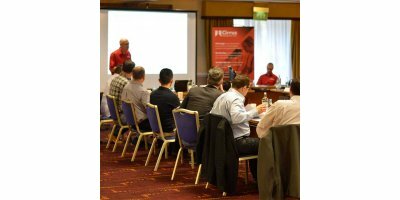 The level of the workshop will be tailored to the needs of all delegates so whether you're new to your Cirrus equipment or an established user, this is the ideal oppportunity to ensure you're getting the best from your investment. Anyone who wants to learn more about the Trojan, NoiseTools and the best instrumentation available for noise nuisance monitoring. No reviews were found for Trojan Noise Nuisance Product Training from Cirrus. Be the first to review!